- Activists of public organizations involved in the development of rural youth. 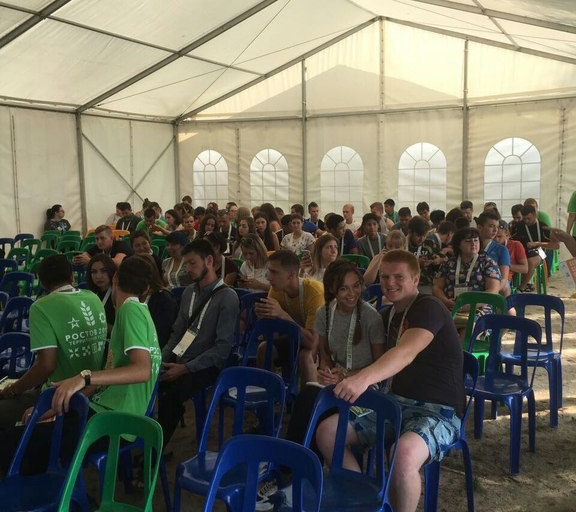 The forum was organized by the Office of the Plenipotentiary Representative of the President of Russian Federation in the Southern Federal District, the Federal Agency for Youth Affairs, the Government of the Rostov Region and the Youth Policy Committee of the Rostov Region. The purpose of the event was to create conditions for the development and professional self-realization of rural youth and youth engaged in the agro-industrial complex. During the event, were considered issues of modern environmental technologies in the agro-industrial complex, master classes and exhibitions directed at training personnel in the agro-industrial complex were planned. 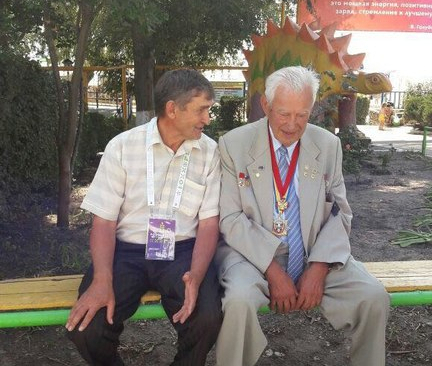 The most important and honorable guest of the event was the general director of the Rostselmash plant from 1978 to 1996, professor, full member of the Engineering Academy of the Russian Federation, laureate of the State Prize of the Russian Federation in the sphere of science and technology, Hero of Socialist Labor Yuriy Peskov. 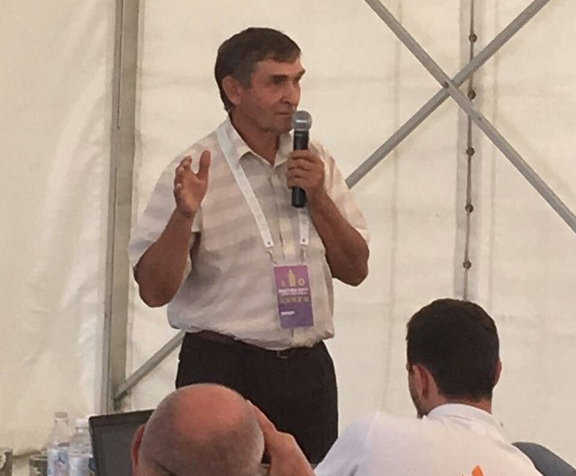 All the participants were very happy to see Yuriy Peskov, many of them wanted to meet and communicate with him personally. 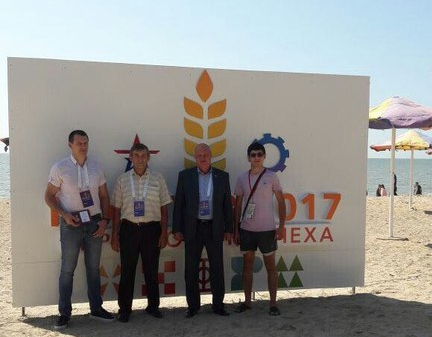 The founder of the portal Agrarum, Ph.D (agricultural sciences), professor Nikolay Zelenskii together with the President of the Association of Direct Seeding Supporters, CEO of LLC ‘’Donskie Zori’’ Vadim Bandurin and CEO of the Association of Direct Seeding Supporters, Director of LLC ‘’Olimp’' Alexander Fedorenko conducted an interactive lecture "Modern Ecotechnologies of crop production without causing damage to the environment’’ for the Forum participants. In the course of this action, the speakers considered aspects of environmental change due to agricultural activities, the issues of the day , related to the degradation of the quality of food, and their impact on human health. During the lecture, arguments were also presented in favor of No-till technology as a technology that restores soil fertility, and thereby provides the most environmentally friendly fodder base for livestock, and therefore - environmentally friendly food for humans. Later Nikolay Zelenskii noted that it is very pleasant to speak to young people who are interested in solving real problems for the benefit of all mankind and future generations. Also for shift participants grant competition - "Best Initiatives» was conducted. The winners received a grant for the realization of the project from 100 to 300 thousand rubles.